A Sensory Ball made from 100% natural rubber, extracted from the Para rubber tree. 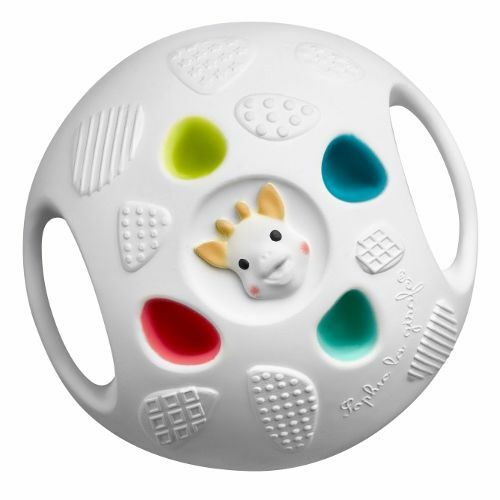 With its bright colours and a variety of textures (including ridges, stars and rounded loops), this toy will ehlp develop your baby's sight and sense of touch. 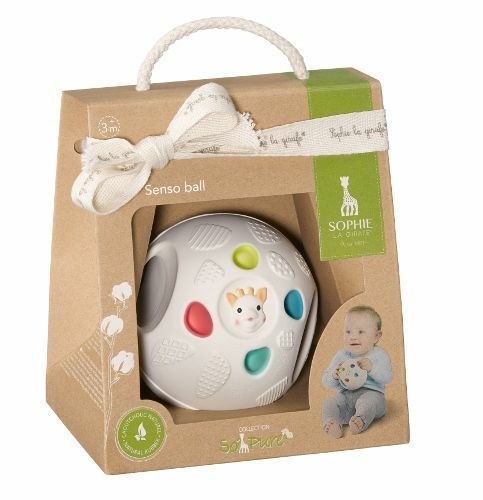 Babies will enjoy putting their little fingers in the ball's 8 holes, developing their curiosity and fine motor skills. Light and ergonomic, it is easy to grab thanks to the two handles.